See what’s new in Yosemite! Get updates on park events, projects and more. 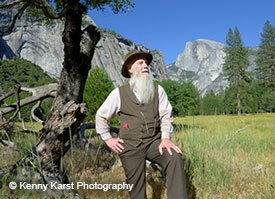 The history of art in Yosemite runs deep. 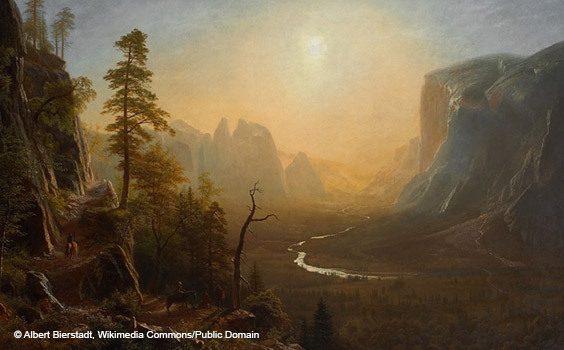 After the first-known sketches of Yosemite Valley were produced by Thomas Ayres in the 1850s, art began to flow from the park: Albert Bierstadt, Thomas Hill and many others captured scenery on canvas and camera, fueling a new wave of efforts to protect Yosemite and other public lands. Adventure waits! 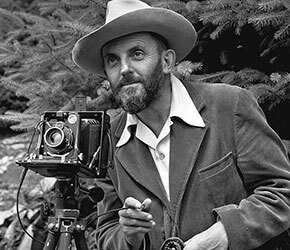 Travel back in time to explore Yosemite history with iconic figures like John Muir, Florence Hutchings and buffalo soldiers, take a behind-the-scenes look at the life of Yosemite Search and Rescue, or join expert climbers high above Yosemite's granite peaks. Nurture your artist within! 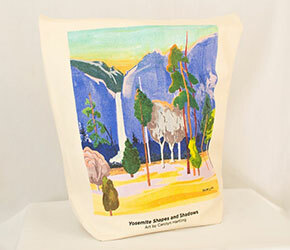 Paint or draw with the guidance of master artists as you create a one-of-a-kind memento to remember your trip to Yosemite. From expert-led workshops to open studio and private classes, there's something for everyone at Happy Isles Art and Nature Center. 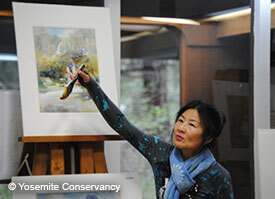 Give back to your park through art! Our partners at The Ansel Adams Gallery have released a modern replica print of a classic Adams photograph of Bridalveil Fall. 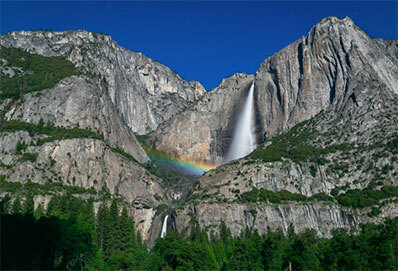 Ten percent from each print will be donated to the Conservancy to support restoration work at the iconic waterfall. Want the chance to see your shots featured here? It’s easy! Share Yosemite photos with us on Flickr, and tag your best shot with #yosemiteconnect. Winners will be featured online and in our monthly newsletter. This email was sent to [email address suppressed]. If you would like to unsubscribe from future emails, click here or update your preferences.